The console wars, which escalated late last year with the arrival of both the Sony PlayStation 4 and Microsoft’s Xbox One, rages on, but Sony appears to have the upper hand. But while Sony and Microsoft slug it out, Nintendo is not doing so well in hardware sales. A reported profit loss and disappointing sales figures for its Wii U console have sent its stock price down and some analysts are saying the company should get out of hardware and stick to software and game development. Google has booted two browser extensions out of its Chrome store for violating the company’s terms of service. The “Add to Feedly” and “Tweet This Page” extensions got kicked to the curb when it was discovered that code for serving up ads when browsing websites had been quietly added in an update. And Windows 8 continues to get dissed, now even by at least one major OEM. HP has been touting new machines running Windows 7 on its home page, as part of a “back by popular demand” sales campaign. The company has pushed several desktop and laptop models with Windows 7 preinstalled to the spotlight, while keeping Windows 8 in the background. Microsoft, however, is still fighting for Windows 8 acceptance and has published a new, free how-to guide to the system called “The Windows 8.1 Power User Guide for Business”. Run, don’t walk to get your copy, folks. Photos purporting to be the new Samsung Galaxy S5 are leaking out online, and those who have seen the new user interface describe it as “looking like an attractive Google Now.” While officially unconfirmed by Samsung at the moment, most expect the schmancy new phone and UI to make a splash at next month’s Mobile World Congress event in Barcelona. Meanwhile, out in space, NASA reports that the Rosetta spacecraft woke up from a 957-day hibernation on January 20th and is getting back to work on its mission of chasing Comet 67P/Churyumov-Gerasimenko. The Rosetta project, which began back in 1993, is actually a mission of the European Space Agency, but scientists from NASA contributed three of the 25 scientific instruments the spacecraft will use to monitor the roaming comet. 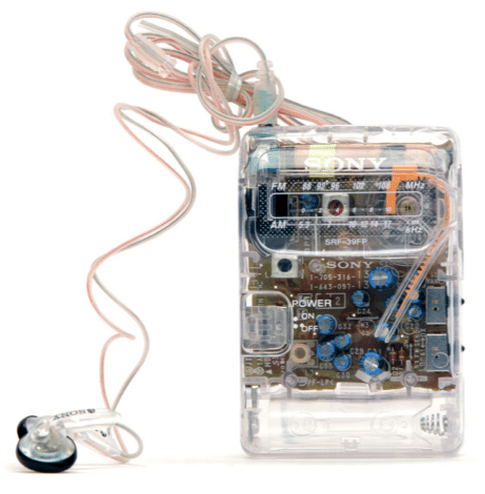 And finally, while the consumer world is all abuzz with streaming online radio stations, high-fidelity equipment, satellite receivers and other high-end gear, The New Yorker has an insightful article online right now about the humble analog pocket AM/FM radio, specifically the Sony SRF-39FP. While broadcast radio may seem like a quaint notion from yesteryear, the article is another reminder that there’s nothing quite like the power and reach of live over-the-air radio. And it’s still one of those few entertainment activities you can even do when your Internet connection is down. Imagine that.